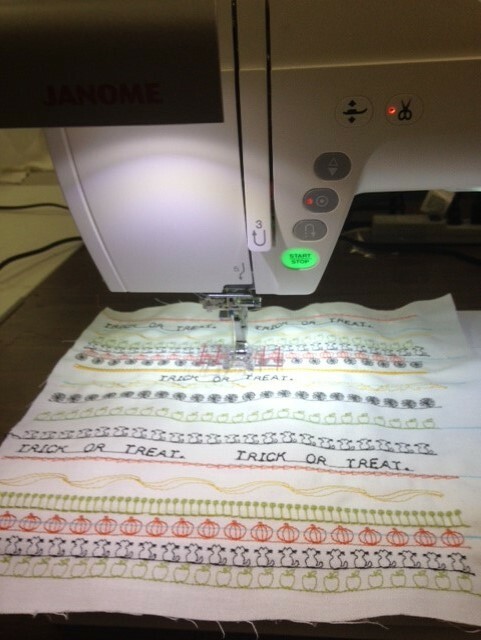 Rows were marked on the fabric and then a selection of brand new STITCH COMPOSER stitches were stitched. Some were combined with other stitches…..created in Stitch Composer or built in machine stitches. Rows with different colours were also sewed.